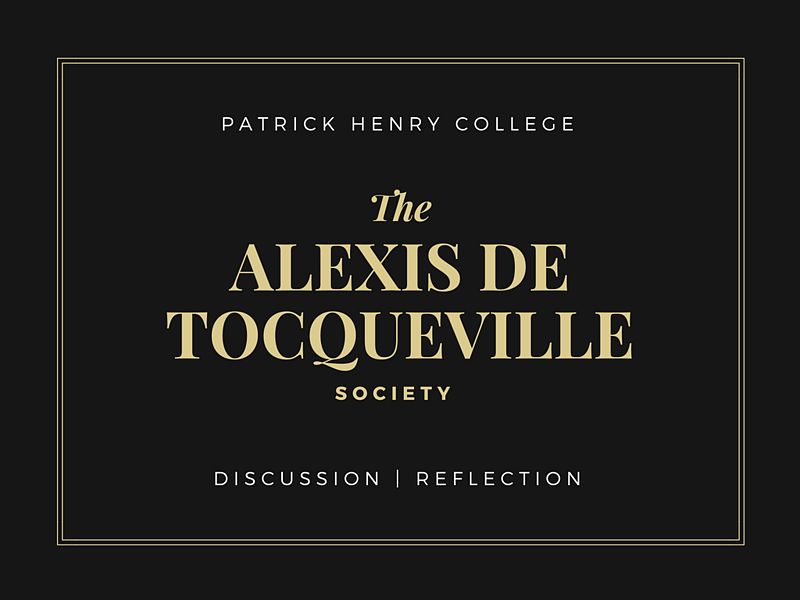 The Alexis de Tocqueville Society is a student-led, voluntary association which seeks to facilitate discussion and further critical reflection among the student body of Patrick Henry College. A society affiliated with the Intercollegiate Studies Institute (www.isi.org), the Alexis de Tocqueville Society exists to promote the Great Conversation, seeking to promote and facilitate dialogue about ideas of philosophy and political theory through hosting speakers, holding discussion meetings and events, and publishing a peer-reviewed academic journal. Speakers in the past have included scholars such as Dr. Claes Ryn, Dr. Patrick Deneen, Bill Kauffman, Dr. Vigen Guroian. Joel Salatin, and Dr. James Matthew Wilson. 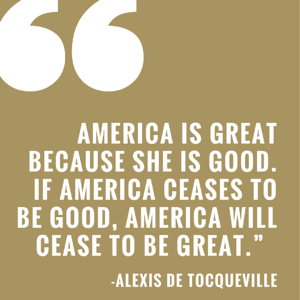 The Alexis de Tocqueville Society is dedicated to investigating the philosophical and moral origins of ordered liberty. It seeks to foster intellectual discourse on campus on topics of philosophy and political theory, in the tradition of other Socratic Clubs. Contact Morgan Conliffe for more information or fill out the form below. Dr. Mark Mitchell and Matthew Roberts are faculty sponsors.